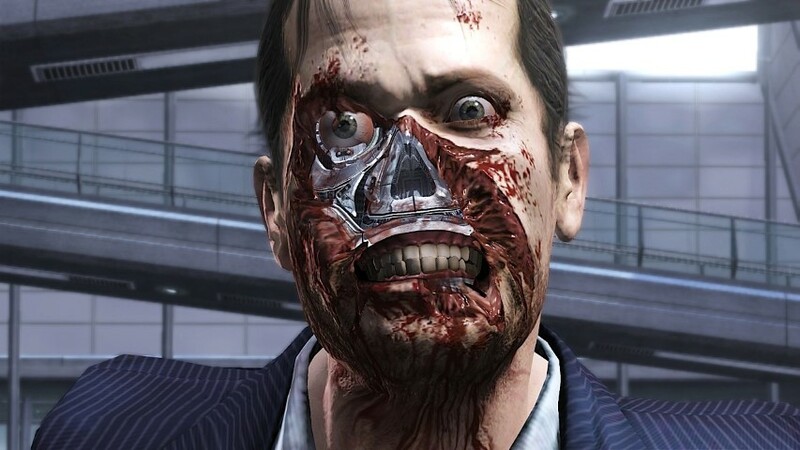 Binary Domain PS3 Review. 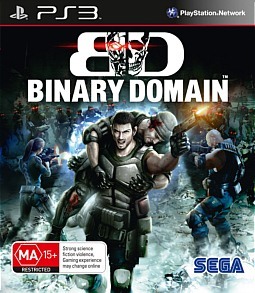 Binary Domain is an enjoyable yet ultimately forgettable game as it does nothing to further the squad based shooter genre. SEGA's latest squad based shooter is reminiscent of films such as I, Robot and to some extent, The Terminator series with a touch of Blade Runner thrown into the mix. Set in Tokyo Japan in 2080, a cancerous organisation known as The Amada Corporation who are responsible for the world's robot production are about to take over the world... which is a no-no. However with their advances in technology, they have been producing more sophisticated units which are being integrated into mainstream society which will have devastating results on humanity. With this knowledge, Sergeant Dan Marshall and his elite team of soldiers must somehow put an end to his. Given that the story uses a variety of science fiction clichés and stereotypes, the execution is a little slow. Admittedly it took me a little while to warm up to the story and the main character but around half-way through the game, things definitely go into high gear with a few interesting surprises. Just be warned that some of the voice acting is a little tenuous at best. As the title is a squad based shooter, there are parallels to titles such as Gears of War and Bad Company but the futuristic Earth-based setting of Binary Domain is actually quite refreshing, especially with its Blade Runner-esq environments. For those have never played squad based shooter before, the first level of the game serves as a straightforward tutorial which unfortunately cannot be skipped. Thankfully it's not too long and your AI counterpart will inform of how to navigate the environment, give squad commands like "cover me", "fire" and more importantly, how to use your weapons and where to shoot. In relation to shooting, the mechanics are actually quite realistic as you can carefully select areas on your enemies to shoot. For example, you can shoot your enemies legs off and they will continue to crawl towards you or if you channel your inner sniper, a head shot is always the quickest way to drop a robot. 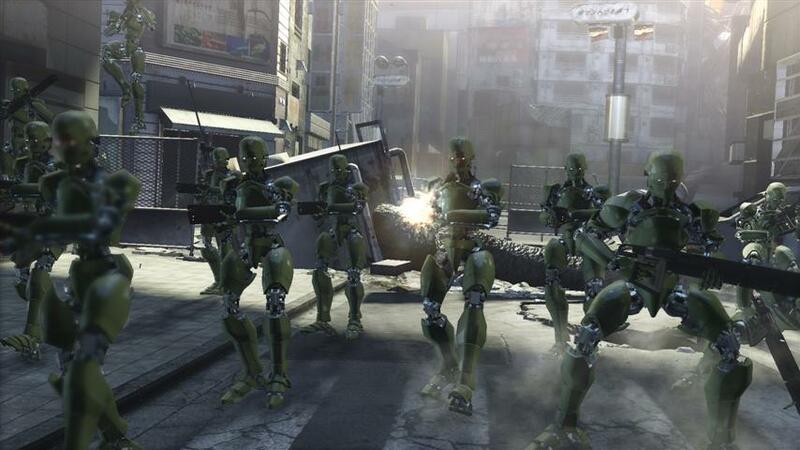 Add in a workable yet sometimes fiddly cover system and melee attacks for backups and you have everything you need to challenge these robotic menaces and when they come in droves, it can be quite difficult. Issuing commands to squad is either done through the DualShock controller (d-pad) or a headset which allows you to speak basic commands. Both systems work well but your family or friends may look at you a little strange when you start barking orders to no one. Just be wary that if you accidentally shoot your squad members or get them into trouble, you will be penalised and they soon being "ignoring" your orders. This consequence system is a little forced but for what it's worth, it does the job. This system is also based on how well you keep the moral in your team as well, so make sure you compliment! Speaking of squad allies, the AI in the game is actually not bad but once again, it's up to the player to save the day. Enemies in the game commence like the robots from I, Robot, however as you progress, these mechanical beasts begin to change and their power factor increases. It's the human looking robots (ala Replicants from Blade Runner) that are the scariest moments in the game. 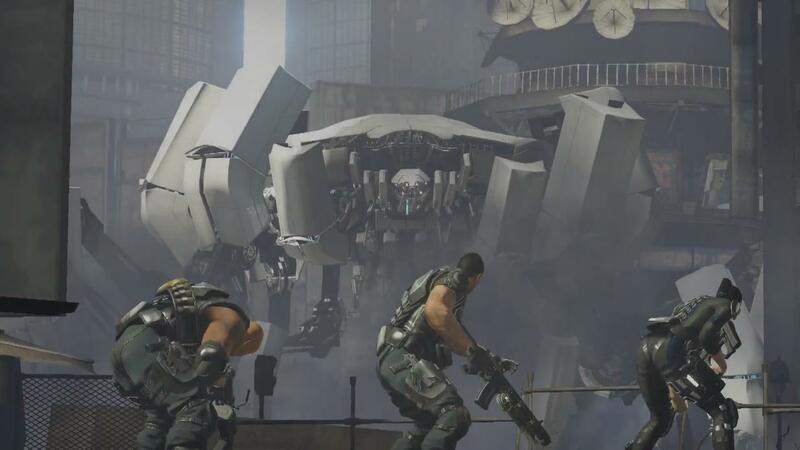 Some of the boss battles in Binary Domain are a real treat to engage and when you first lay eyes on this giant Transformer type robot in the streets early in the game, you know that things are going to get tough. Without spoiling the game too much, there is this great scene where you commandeer control of a robot as you attempt to end the threat of The Amada Corporation. 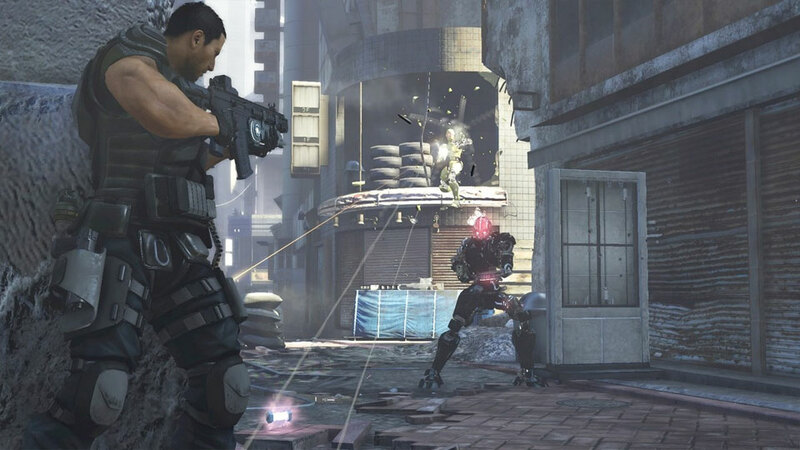 Binary Domain does feature online multiplayer with modified modes of death matches and horde modes for example. I did like Invasion which in essence is like Gears of Wars Horde mode that continues throwing more and more enemies at you as you attempt to upgrade your weapons to keep alive. Given that the campaign mode in Binary Domain is around 10 - 12 hours, the online mode will definitely keep you busy for a few more hours but overall, this is definitely a single-player game. 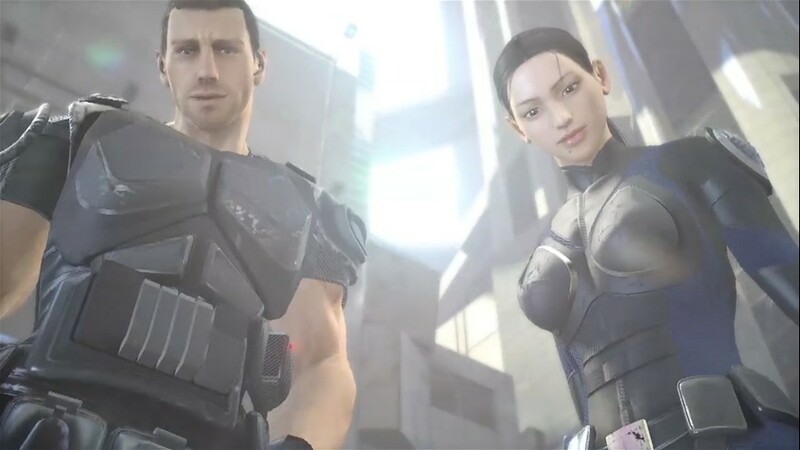 Graphically, Binary Domain is a decent looking game and I love how the transition from in-game to cinematics works in the title... it's quite flawless. 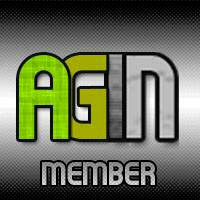 Character animation is smooth and facial animations of the humans look quite realistic. Lighting is good also but the highlight of the game is the robotic gibs. When you shoot your weapons into their metallic bodies, shrapnel begins to fly off which looks thoroughly impressive. The downside to the graphics is some of the water effects, especially the first level when you are swimming which looks horrendous. Another issue is that the characters seem a little stiff when they interact with the environment but thankfully it’s not too distracting. Voice acting is good and the sound effects are used well, especially through surround sound when the battles commence. 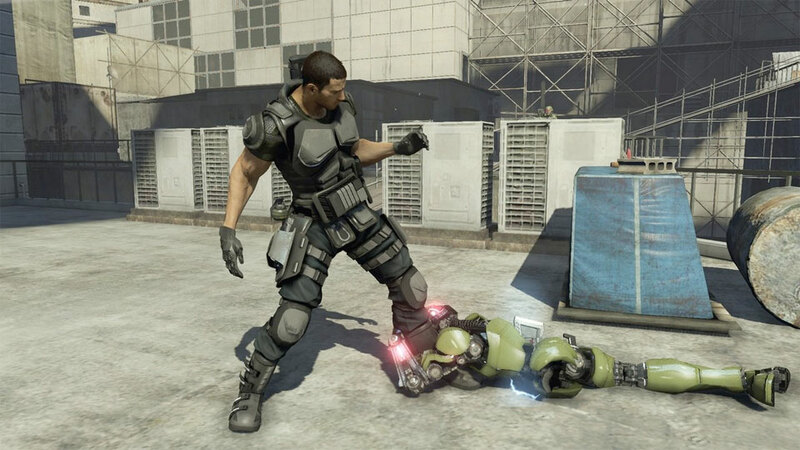 Binary Domain is an enjoyable yet ultimately forgettable game as it does nothing to further the squad based shooter genre. 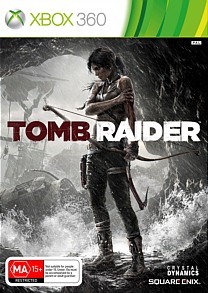 It contains an interesting story, decent in-game mechanics but at times it feels a little too polished and stiff which makes it a tad unrealistic. The combat is fun and delivers an engaging system for players to finish this title, especially with the robotic gibs. Needless to say, it's quite refreshing to play something that is not based on another faux war or distant alien planet. A NEW TAKE ON FUTURISTIC TOKYO: Experience dual layered Tokyo with a run down and derelict lower city and a clean and affluent upper city. THE CONSEQUENCE SYSTEM : Under the pressures of battle every action, every choice and every word affects everything. PROCEDURAL DAMAGE : Fully destructible and highly resilient robots adapt to the damage they sustain encouraging you to analyse each enemy, find their weaknesses and dispose of them in the most efficient way. WEAPON MODIFICATION AND SKILL SELECTION : Alongside a full armoury of unique weapons, put emphasis on the skills that will benefit you.